How can I see where a program writes to my disk? If I want to uninstall a program and remove all trace of data it stored on my computer, is there a tool to see where a program has written data? I expect it isn't going to be possible after the fact, but perhaps there is something that can run when a program is first launched to monitor all the locations to which it writes? I think I'm looking for something that does for local storage what Little Snitch does for the internet. If I get it right, you want to monitor all file-system operations of your app when you launch it and when it's running ? Rather than finding each and every byte that this program has ever written to your hard-drive. There method isn't as automated as other options, but it has the advantage that it finds files associated with an app even if they aren't used during the monitoring session. 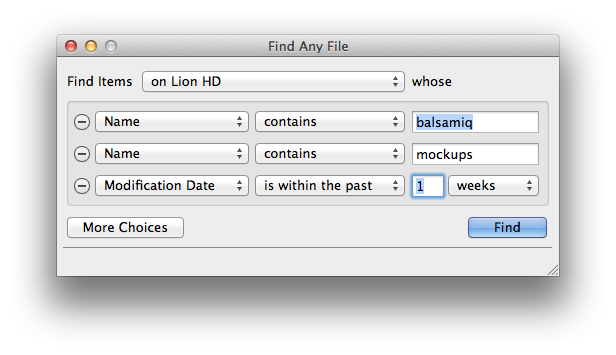 I use an app called Find Any File, which lets you search your entire hard drive easily using some complex queries. 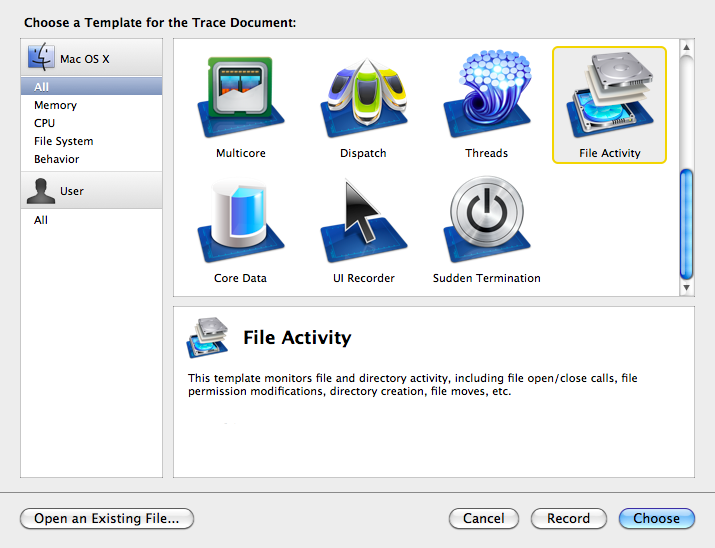 This method relies on the assumption that all app files either have the name of the app in the filename, or are stored somewhere with the name of the app in an enclosing folder's name. This is almost always true; Application Support, login items/launchagents/launchdaemons, caches, the app bundle itself, etc all follow it. I've yet to find an app with files in non-obvious places that don't follow this rule. The reason I've got the two parts of the name separately is to cover cases where there is a space between the two words (like the app bundle) as well as where there isn't (like a com.developer.AppName file). The Modification Date is within the past ... component is optional and only helpful when the app has been installed relatively recently. Generally, just the app name should be just fine. 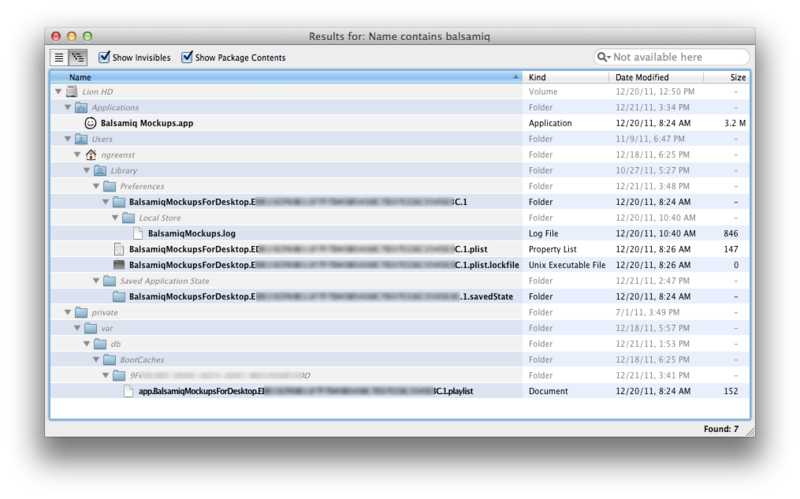 I've got the view in hierarchical mode to show the location of the files, but either view mode is fine. 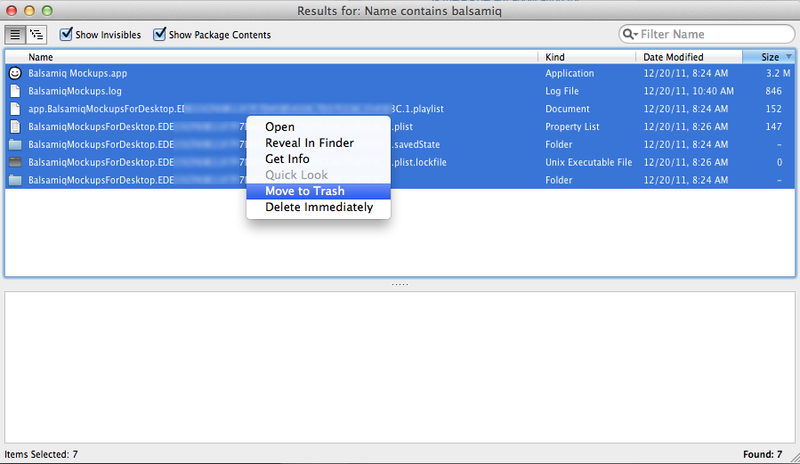 If you want to delete the files, switch to the list view, select them all, right click and choose Move to Trash. The command line is the most efficient option here, just use the command lsof (list open files) with the relevant options, you can limit the results to file opened all, by user, by parent process, by group ID, etc. Type in man lsof to the Terminal for all the options. Another option is use the Activity Monitor app, locate your running app in the list, double click it, then select 'open files and ports'. Not the answer you're looking for? Browse other questions tagged software-recommendation . Got any tips or tricks for Terminal in Mac OS X? What files are accessed when an app starts up? Is there a tool I can use to securely wipe data from iPhone, iPad, or iPod Touch? How can I free up some disk space? How can I transfer video from my Sony AVCHD camcorder? Is there a relational database with GUI for Mac similar to Microsoft Access or the like? Any iPhone apps for fine-resolution mapping? Which App saves and restores window size/position on relaunch of an app? How can I find out how much internet data each app has used? What are good bi-directional, real-time synchronization utilities between Mac local folder and web server?